As the availability of skilled labor continues to decline, more growers are turning to automation as a potential solution. But how do you know which direction to turn? 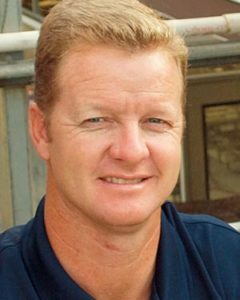 Art Van Wingerden is co-owner of Metrolina Greenhouses, one of Greenhouse Grower’s Top 100 Growers, operating more than 7,000,000 square feet of environmentally controlled production space at its facilities in Huntersville, NC, and York, SC. He says that while the price tag for automation may seem daunting to some, there are ways it can pencil out profitably for you. According to Van Wingerden, here are nine things you need to know about greenhouse automation. Once you reduce the number of people you have working on a device or line, you allow them to become more qualified to work other machinery or in other areas. As they become more efficient, you might also be able to pay them more. “The more we pay, the more we can retain our current employees and attract new ones,” Van Wingerden says. “Automation saves you money over time, but you’re not going to save all your money in the first year,” Van Wingerden says. If you are a small to midsize grower, your return on investment will depend on what kind of automation you are looking at. According to Van Wingerden, too many growers look at automation in terms of what is the hottest thing on the market today. “Compare your greenhouse costs to your labor costs and if you have the labor to do it,” Van Wingerden says. He also points out to consider your plant needs. When looking at automation, consider your needs a few years down the road. “One thing that’s coming, even if it’s at least five years away, is spraying with drones,” Van Wingerden says. More immediately, Metrolina is looking at a transplanting machine that ensures 100% efficiency when the plants come out. According to Derek McLaughlin at Bellpark Horticulture (formerly Visser), the biggest challenge to greenhouse growers today is labor. “Growers are looking to automation to decrease costs, increase quality, and solve their labor shortage/reliability issues,” he says. At the IPM Essen show in Germany in January, Visser debuted a new transplanter that is fully capable of transplanting a destination pack, even when the source trays do not contain 100% perfect plants. The transplanter is equipped with a new type of gripper that is capable of digitally imaging the plant while it is held in the gripper. 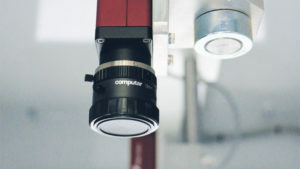 The new vision system can then decide if the plant meets the selected quality criteria. “The process ensures that bad plants and/or empty plugs will be discarded and only good plant matches will be transplanted,” McLaughlin says. The Pic-O-Mat Vision system automatically determines the position of the grippers to ensure that the destination pack will be 100% filled with good plants. “This new transplanter is a true labor saver and eliminates any need for gapping up plants behind the transplanter,” McLaughlin says. The transplanter can achieve up to 800 planting cycles per hour, per gripper. It is available in 12, 16, or 24 grippers. We need to re-think why is a “labor shortage.” The horticulture industry prefers the type of labor who works for a low pay, with no benefits, long hours, no weekends and harsh conditions as wet feet, high temperatures, pesticides residues to name a few. Hispanic immigrants accepts horticulture jobs because they worked in agriculture in their home countries and they may not be qualified to do any other job that requires language skills and a citizenship. But what about if the industry would make an effort to better the salaries and to train the workers. Really train the workers in best practices? Then other cultures will join the horticulture and we all be benefited by it.